Iowa State has swept the Big 12 weekly awards following a 2-0 start to the conference season. 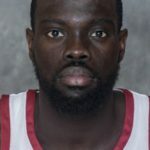 Marial Shayok took home Big 12 Player of the Week honors, while Tyrese Haliburton captured his second Big 12 Newcomer of the Week award this season. Shayok, a senior, averaged 20.5 points and 5.5 rebounds as the Cyclones swept Oklahoma State and then-No. 5 Kansas. The Ottawa, Ontario native followed a 17-point performance at OSU with one of the best performances of his career against KU. Shayok was nearly perfect against the Jayhawks, scoring 24 points on 9-of-12 shooting. He connected on all five of his 3-point attempts, tying the Iowa State single-game record for 3-point percentage. The freshman Haliburton continues to shine in his first season in Ames. Haliburton averaged 13.0 points, 3.0 assists, 2.5 rebounds, 2.5 steals and 1.5 blocks in ISU’s two victories. The Oshkosh, Wisconsin native started the week with 12 points against Oklahoma State, connecting on 4-of-6 three-pointers. Haliburton was even better against Kansas, scoring 14 points and making 4-of-5 three-pointers to improve to 8-for-11 three-point shooting against conference foes this season. He also had three assists and matched his career high with four steals against the Jayhawks.